Ecozine is Asia’s premier magazine about modern sustainable living. Since going live at Ecozine.com in 2012, the name has become synonymous with consumer values of quality, luxury and sustainability. Ecozine produces a quarterly print magazine and the region’s largest environmental event, the Hong Kong Cleanup, which has mobilised over 200,000 volunteers. Earthjustice is the nation’s leading nonprofit environmental law organization. We use the power of law and the strength of partnership to protect people’s health, preserve magnificent places and wildlife, and advance clean energy while combatting climate change. We are here because the earth needs a good lawyer. Ocean Unite unites and amplifies the voices of influential people and organisations to secure a healthy and vital future for the ocean. Any funds received will go where they are needed the most – to foster leadership, commitment and action for the ocean. You can find out more about Ocean Unite here. kurmalliance is a 501c3 nonprofit organization aimed at improving marine ecosystems for sea turtles, sharks, and their cohabitants, recognizing that plastic pollution is one of the massive hurdles the turtles and all marine creatures face in their fight for survival. kurmalliance focuses its efforts on improving the condition of our local waters by documenting and collecting plastic pollution through clean up missions, and the PLUCKFASTIC movement which encourages the community to choose to refuse single use plastic products. 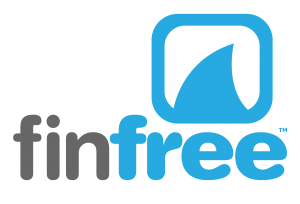 Fin Free is a global campaign addressing a very real issue: the mass slaughter of sharks to supply a growing consumer demand for shark fin. We believe that by enabling youth, communities and businesses to take action against shark finning, we can work to protect the health of the oceans and ensure a more sustainable, livable planet.